I'm definitely one of those people that always complains about how the week is dragging on and then it's suddenly Thursday afternoon and I'm thinking "Where did this week go?". I've brought back Tried & True for this week because I realized that I had been neglecting these two products, which is sad since I love them both so much. 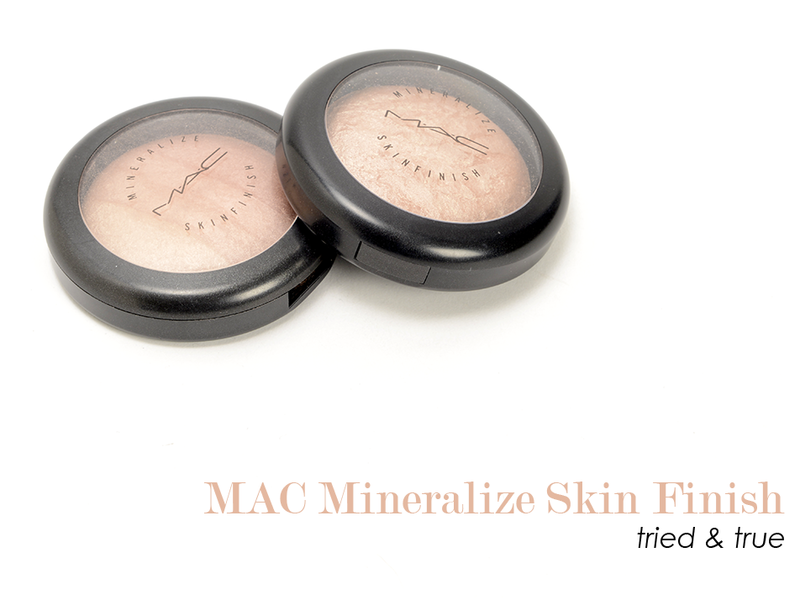 I'm not a huge fan of all of MACs products, but Mineralize Skin Finish line is one of those things that MAC does very, very well. I don't currently have any traditional powder from them right now, but the two that I am currently rocking (and you've undoubtedly seen pop up on here in tutorials and videos) are Soft & Gentle and Redhead. I will admit that I was a bit reluctant to talk about Redhead because it was a LE shade, but I know that it's been rereleased at least once because I bought it during a rerelease. MAC seems to do that a lot, don't they? They have these LE items, but they rerelease them all the time because people love them so much (MAC's insane number of limited edition items is on of the things that I don't like about them). There were also Blonde and Brunette shades of the MSF, but the sales associate recommended this for me. The reason that I like Redhead so much is because it is unlike any other highlighter that I have; it's pink based whereas a lot of highlighters are very golden. That pink undertone let's it create a very ethereal and romantic look which is exactly what I want sometimes. Soft & Gentle, on the other hand, is much more golden but has a bit of pink, or perhaps copper, to it. 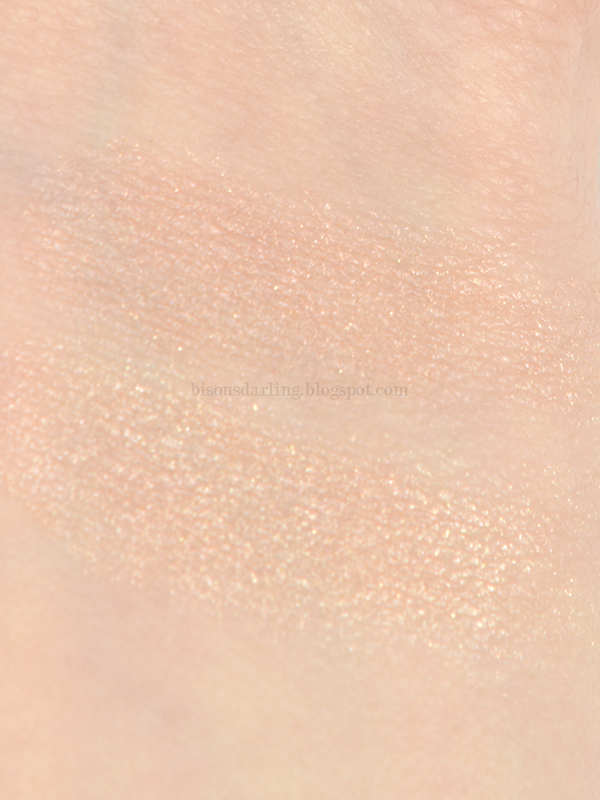 It's loved my many, many people and the reason is because it's so universal; neutral, olive, warm, and cool undertones can all get away with this as a highlighter since it reflects so differently. On me, with my warmer skin tone, it reflects with a bit of a copper sheen but on someone who is cooler, I imagine that it would reflect a bit more golden. The powders are soft and easily transfer from the brush to your face to give it a really nice soft sheen. There is glitter in these two MSF, but it's so tiny and so fine, that you have to be right next to someone's face to be able to see it. Otherwise, it just comes across as shimmer. One of the most fantastic things about these powders (aside from everything that I just listed) is how long they'll last you. Yes, sure, they're $30, but I've owned Redhead for a year and a half and I've just start to make a dent in the dome; Soft & Gentle barely has a dent. 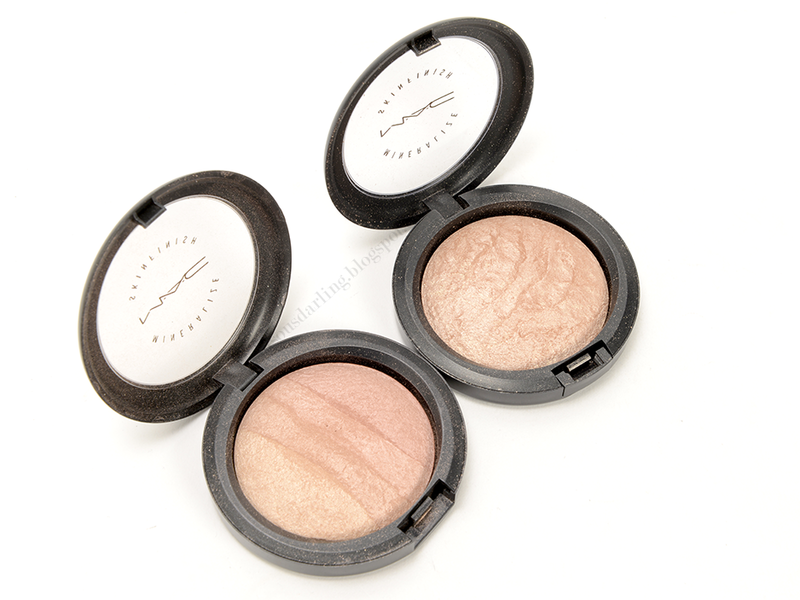 If you are looking for a new highlighter, I would definitely recommend stopping by MAC or a counter and checking out Soft & Gentle, I think you'd love it. Unfortunately, MAC's website appears to be out of Soft & Gentle, but it's on basically everyone else's sites. Questions or comments? Please feel free to leave them down below!